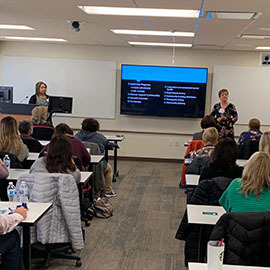 The Philadelphia Region Occupational Therapy (OT) Fieldwork Consortium held its 25th annual Clinic Council Day (CCD) on the University’s Elkins Park campus on Thursday, March 7. 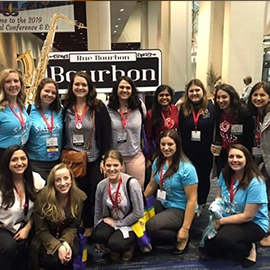 Since its inception in 2012, Salus University’s Occupational Therapy (OT) program has continually strived to provide the most progressive inter-professional academic experience for its students. 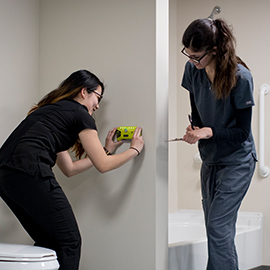 Offering one of the most specialized educational experiences for students with an interest in the occupational therapy profession, the department offers two distinctive programs. 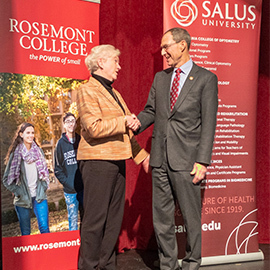 Salus and Rosemont College have signed nine articulation agreements designed to enhance the educational experiences of both Salus students and Rosemont College through academic collaborations. 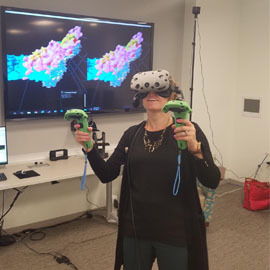 Brianna Brim, MOT, OTR/L, CPAM, CLIPP, academic fieldwork coordinator for the Occupational Therapy (OT) program, just got back from a ten day immersion in a Clinical and Translational Research course for PhD students at the National Institutes of Health (NIH) Clinical Center.